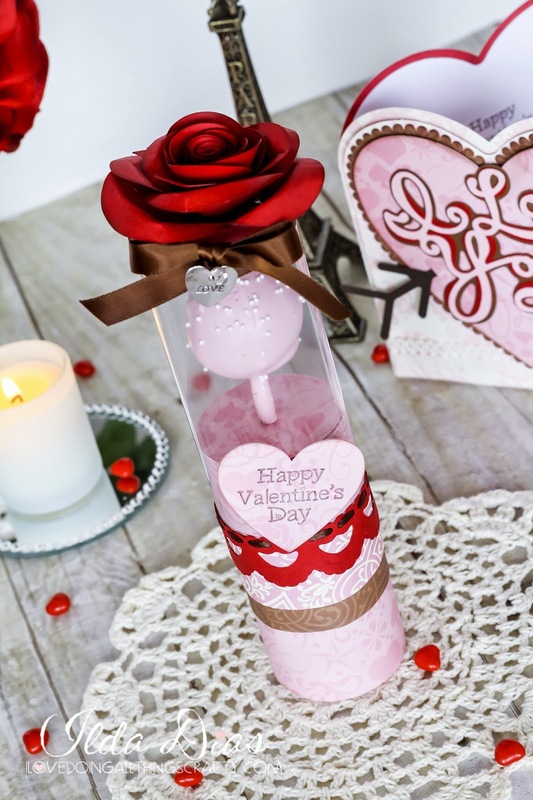 Have you been thinking about Valentine's Day Projects to make for someone special this year? Well if you were waiting for a unique idea, maybe my project will inspire you! Today I want to share with you my latest SVG Cuts DT project. 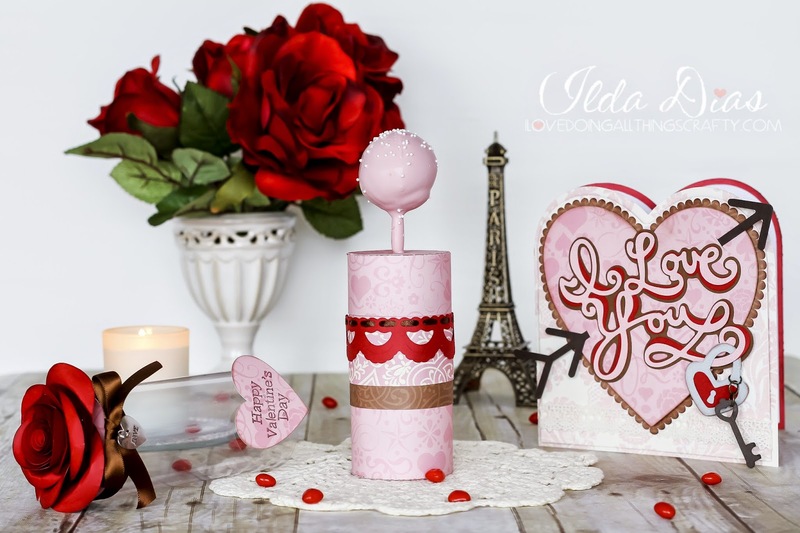 Here is my I Love You Card and it's coordinating Cake Pop Treat Tube. Who wouldn't love to receive this!? Here is the shopping list of the kits you need to recreate this! Make sure you take advantage of SVG Cuts FREE GIFT offer! For detailed instructions on how create this set make sure you stop by the SVG Cuts Inspiration Page. 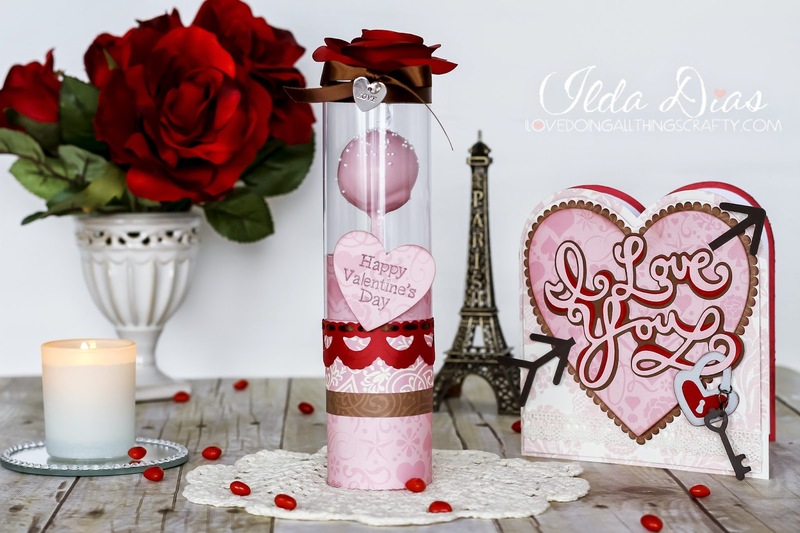 I love how this cake pop treat tube turned out! It's the perfect treat to give some one you love or make a bunch of them to give out as party, shower or wedding favor. Hope this project has inspired you to say I love you to someone special this Valentine's Day! Wonderful, as usual, Ilda! Thanks for always being such an inspiration with all your beautiful creations! You are too sweet Migdalia! Always love reading your comments, Thank you! Thanks so much Amy! I would send it to you but my daughter gobbled it all up as soon as she saw it, lol! Good thing I had taken my pictures already, haha!